Good news for job hunters huge opening in Subordinate Services Selection Board (JKSSB) has published a Job notification the Post of 94 Junior Librarian job Vacancies. Apply Online Before or on 11th November 2017. All job seekers are invited apply this post. Job location:- Jammu and Kashmir. Last Date to apply or submit a job application:- 11th November 2017. Qualification:- All Interested Candidates should have 12th/ Graduate/ Diploma Pass or its equivalent qualification from a recognized Board/University. Application Fee:- Application fees required to pay at the time of online form submission Or Demand draft for offline Job Application. For this job, application Candidates can deposit fees of Rs. 350/- through Online Payment Gateway or Challan or CSC Connect. Age Limit:- minimum age required is 18 Maximum age required is 40 years .as on 01.01.2017. Age relaxations will be applicable as per the rules. How to Apply:- All Eligible job seekers may apply Online through JKSSB website www.jkssb.nic.in from 18.10.2017 to 11.11.2017. thereafter link will be disabled. 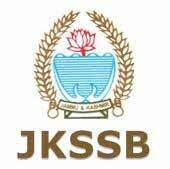 JKSSB Recruitment 2017 Official Website: http://www.jkssb.nic.in. Selection Process:- After sorting the all candidate’s application form interviewer panel will further Select candidate by Written Test & Interview.